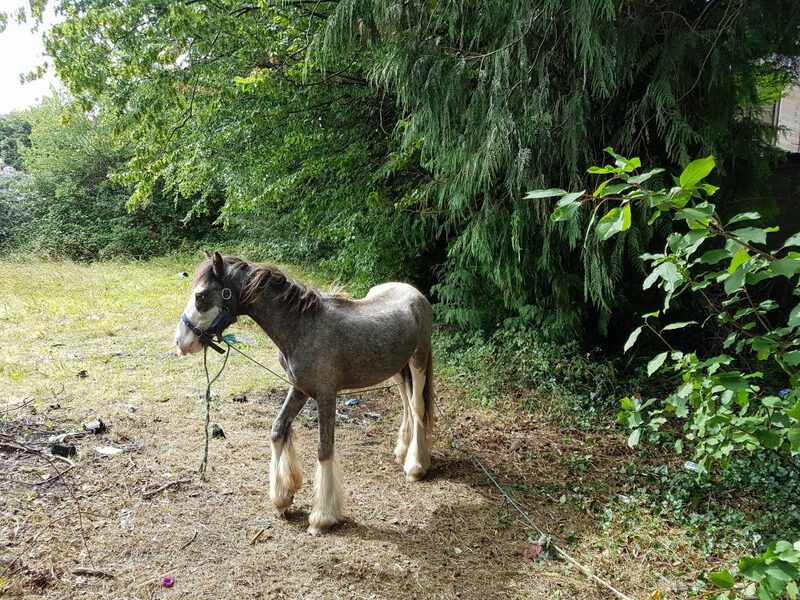 Joint operation with ISPCA. 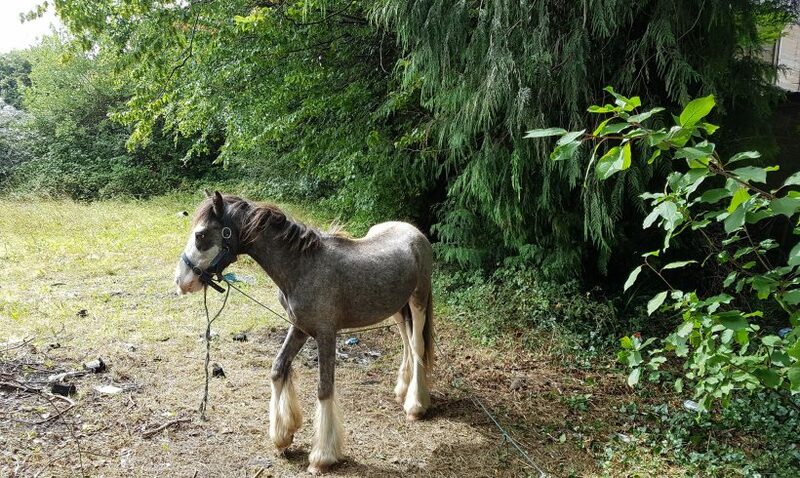 We assisted the ISPCA after they received a complaint about a young horse that was tethered at a small site in the Wicklow area. When we arrived at the site Blueboy was caught up in the rope and was unable to move. He had no access to water or forage and his body condition was poor. 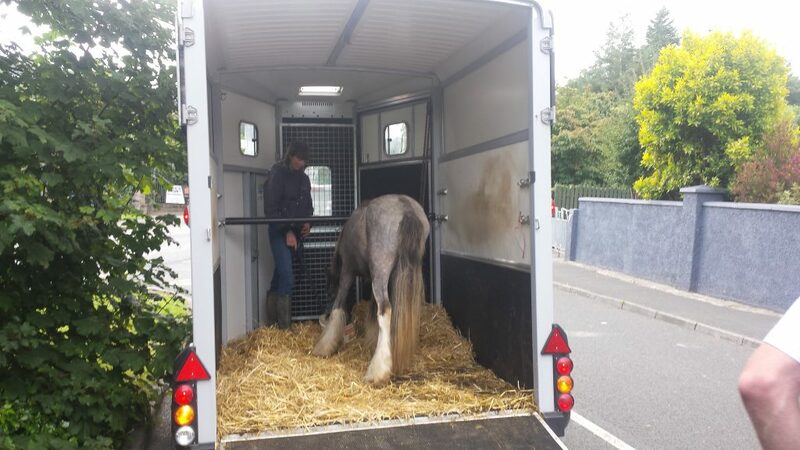 The seizure was authorised by the ISPCA and Blueboy was then transported to our equine centre. We would like to thank the local Gardai who assisted in this case. 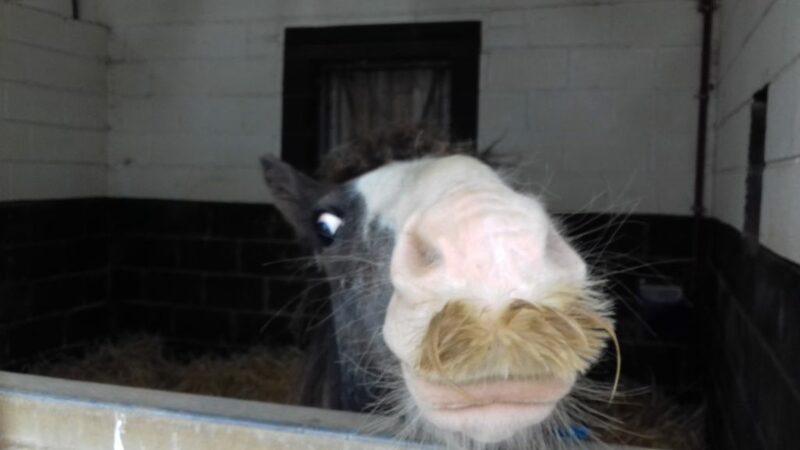 Despite the distress Blueboy suffered he is a friendly little horse and should make a full recovery.